Gaylord National Christmas at the Potomac - Cyber Monday Savings! 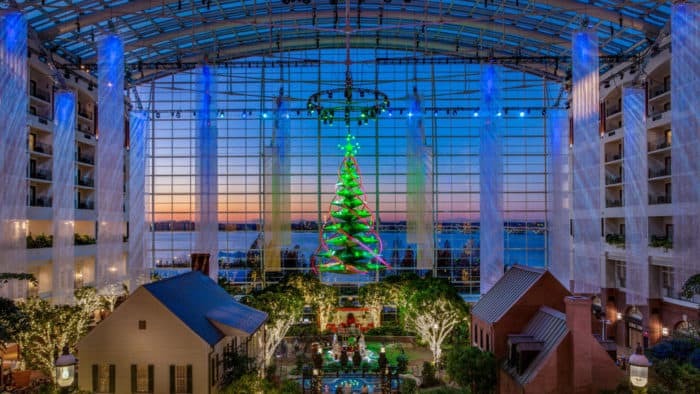 Gaylord National Christmas at the Potomac – Cyber Monday Savings! “It’s the most wonderful time of the year.…” After this weekends visit to the Gaylord National, I really can’t get the song out of my head… I am ready for Christmas! Visiting the Gaylord National was an amazing way to get into the holiday spirit. The resort and convention center were beautifully decorated. This year, the Christmas activities and spirit is magnified with Cirque Dreams Unwrapped performance in the Gaylord National atrium! Truly spectacular! We were down a few members of the family this year. The boys were sick, so only the girls went. It was sad without the little ones, seeing Christmas through their eyes, but it was snow much fun to enjoy it with the girls! As always, ICE! was our favorite! ICE!—our signature holiday attraction—is back with a new theme. Watch Charlie Brown rediscover the meaning of Christmas as the beloved story unfolds through two million pounds of ice sculptures and displays. As always, our favorite part of ICE! is this ice slides. The kids enjoy that even their mom gets a spin in this winter wonderland of a playground. This year the sculptures were incredibly bright! Amazing colors that really stood out telling the story of Charlie Brown and his friends at Christmas. Two million pounds of ice sculptures hand-carved by 35 artisans from Harbin, China. Learn more about The Making of ICE! Colorful ice sculptures depict the story of A Charlie Brown Christmas. A stunning crystal clear ice sculpture scene of the Nativity – our favorite! Dress warmly, but don’t fret. You are given a Blue Parka for your comfort. We wore our ski hats, ski gloves, wool socks, and scarves with our parka. I even had the girls put their ski coat below their parka. This native to Florida girls had to stay warm, 9 degrees is cold! 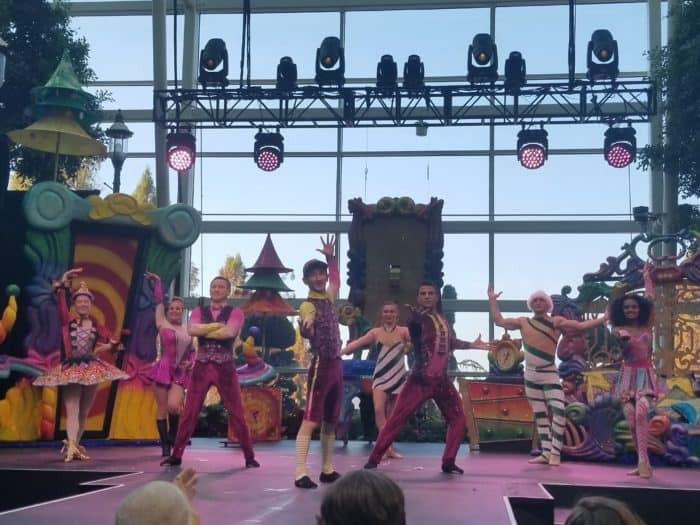 Something new this year is a 25-minute Cirque Dreams Unwrapped performance in the Gaylord National atrium. This was pretty incredible! All the great things of Cirque with ah beautiful Potomac backdrop! This Christmas, the Garden Atrium at Gaylord National comes alive with Cirque Dreams Unwrapped. Be dazzled with this spellbinding production of Seasons Dreamings combining breathtaking artistry, music and showmanship from around the world. 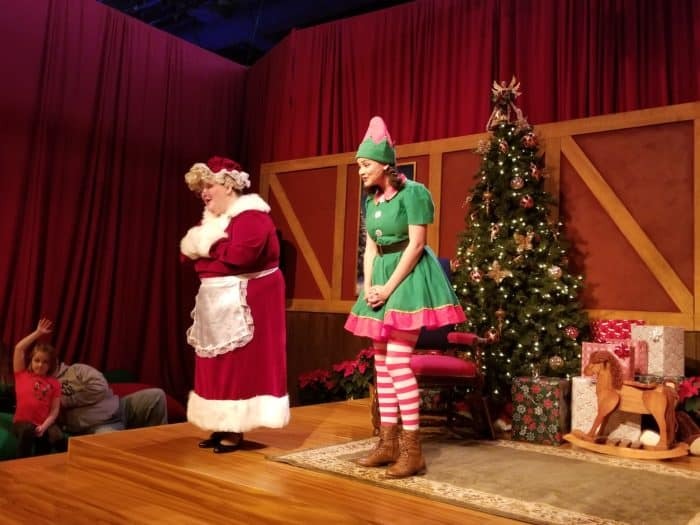 The entire family can enjoy this uniquely inspired 25-minute Christmas fable performed on our atrium stage and in the air with spectacular costumes and soaring imagination. Don’t miss this new intimate entertainment extravaganza that will have everyone on the edge of their seat and feet! This is a FREE performance, anyone can attend. First come, first seated! When can you say you ever attended a Cirque performance without spending a dime!? For the first time ever, the girls and I sat down to have cookies with Mrs. Claus. It was an adorable performance with the best tasting cookies (and milk!) The performance includes the audience and is very interactive. Very cute and both Mrs. Claus and the elf did an excellent job. If you are shopping Cyber Monday, take a look at these discounts including 30% off rooms and steep discounts on ICE! Prices vary depending on packages, ages, and dates. Take a look at all the options here. Also consider staying the night. Extend your fun, enjoy rest in the comfort of a hotel bed, and have a tasty breakfast with Charlie Brown and his friends. 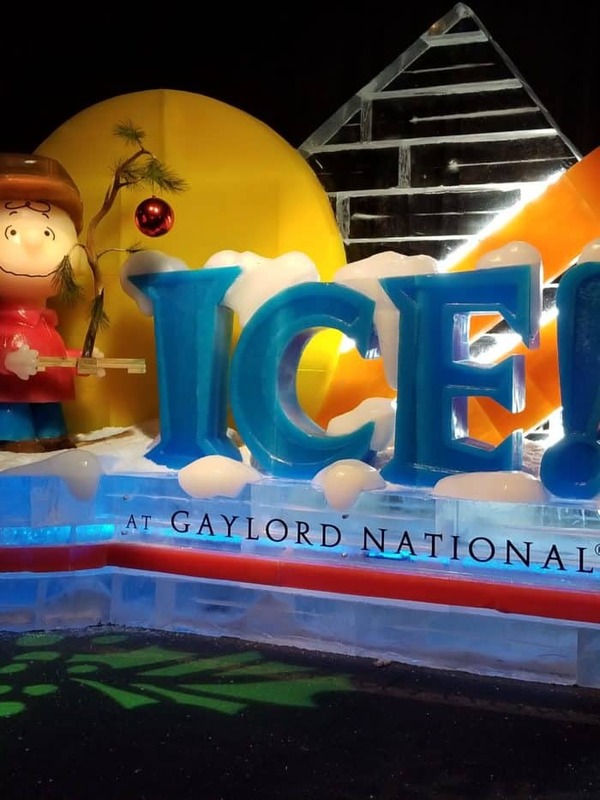 Visit Gaylord National also on Twitter and Instagram. This season be sure to use hashtag #BlueParka and #ChristmasonthePotomac.